What the Hell Happened to Hesham Shehadi? 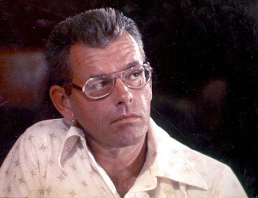 Phoenix newspaper reporter Don Bolles was the victim of a car-bombing in a mid-town hotel parking lot on June 2, 1976, ultimately dying on June 13, 1976, from injuries and infection resulting from the blast. His life and death, his journalistic endeavors, and the ensuing trials of the alleged conspirators in his homicide have been widely chronicled. Hesham “Sam” Shehadi is not nearly so famous. The 26-year-old Arab-American evidently was killed in the Phoenix area during the evening hours of June 11-12, 1976, with his body then driven north along I-17 across the Yavapai County line where—stripped of identification—it was tossed in the Black Canyon City dump, doused with gasoline, and set on fire. Shehadi had been shot in the back five times at very close range. From the size and nature of the wounds—the slugs passed through him and were not recovered—the murder weapon could have been something in the order of a large caliber handgun or even an AR-15 assault rifle. Shehadi’s charred body quickly was discovered in the landfill on June 12, 1976, and, despite the fire, his fingerprints were still ascertainable. Just several days later, based on assistance from the FBI’s national identification division, the Yavapai County Sheriff’s Office (YCSO) was able to release his name. Born March 31, 1950, Shehadi was originally a Chicagoan with a lengthy federal rap sheet of mostly drug-related offenses dating back to 1970 which eventually placed him in the Phoenix area around the beginning of 1976. His FBI number was 9S1-687-H, and he apparently arrived in Phoenix with a serious heroin habit. Showing a Prescott point of origin where YCSO is headquartered, an article on the Shehadi killing was buried on page 10 of the second section of the Arizona Republic of July 1, 1976, which also mentioned a few isolated investigative leads. Today, more than a quarter of a century later, the case technically remains open as an unsolved but essentially forgotten homicide. As a journalist who came to Arizona in the aftermath of the Bolles murder, I had never even heard of Shehadi until 1982. While working as a freelancer on assignment with the Scottsdale Progress beginning in 1979, I had encouraged that newspaper to bring a Freedom of Information Act (FOIA) lawsuit against FBI headquarters in Washington, D.C., in 1981 for FBI records in the Bolles case. A favorable federal court verdict in that lawsuit finally produced over 500 pages of FBI documents the following year. (Many thousands of pages of the FBI’s Bolles case records subsequently were acquired over the years, and all still being acquired, through standard FOIA administrative procedures). Among them, curiously, were two documents in which Shehadi was mentioned. The first of these communications was sent by the Phoenix FBI office to FBI headquarters on June 15, 1976, immediately following the bureau’s fingerprint identification of Shehadi. Noting that “no apparent connection” had been established between the Bolles and Shehadi murders, it nevertheless reported unexplained “press inquiries” received at the Phoenix FBI office asking about a possible link. My own first mention in print of these FBI references to Shehadi didn’t come until an article in the Scottsdale Progress on March 31, 1984. While I didn’t elaborate on that statement in 1984, I will now do so. One such person was a local drug dealer, fence, and pimp named Bobby Padilla. Padilla was among the investigative leads cited by the Arizona Republic in its article back on July 1, 1976, about the Shehadi murder. According to the Arizona Republic, Shehadi and Padilla “have been seen together during the past few months after Shehadi moved to Phoenix from Chicago,” with law enforcement officials even taking steps to inspect a Padilla family vehicle to see whether it contained any evidence of having been used to transport Shehadi’s body. In 1984, my police intelligence source advised me that Padilla had been part of an interactive circle of Phoenix area hoodlums back in the mid-1970s variously involved in narcotics, stolen property, and vice that also included Adamson, already implicated in the Bolles homicide. Adamson was the person who had lured him to the site of the car-bombing. Emprise Corp., a Buffalo-based conglomerate, then owned all six Arizona greyhound tracks in partnership with the Phoenix-based Funks Greyhound Racing Circuit. Emprise already had been tarnished with a mob-related conviction, and Bolles had made a virtual career out of his investigation of a possible Mafia “silent partnership” in operation of the dog tracks here. Shortly before he was killed, Bolles claimed to have been threatened personally by Bradley Funk, a long-term adversary/cantankerous member of Emprise’s Funk family partners. Funk later would die of a heart attack in 1989. In almost a decade of research and writing on the Bolles case for the Scottsdale Progress, I made no secret of my very strong suspicion that Funk and the late Neal Roberts, a corrupt Phoenix attorney, were the ones who orchestrated and got away with the Bolles plot, helping to “frame” others in order to protect themselves. And Funk did so, I believe, as much for vindictive personal reasons as anything else. In the months leading up to the Bolles homicide, Adamson reportedly was messed up much of the time on cocaine, pills, and booze. As a result, he often was indiscreet among friends and acquaintances, bragging about the schemes in which he was involved. A surprising number of such friends and acquaintances had picked up on bits and pieces of the Bolles murder plot well before it came to fruition. Could Padilla and/or Shehadi possibly have heard Funk’s name as the “money man” back of the conspiracy from Adamson or others of his pals?And what would Shehadi have done with such information? Given his own criminal history, he certainly wouldn’t have gone to the police. But what else might he have done? A clue can be found in another criminal matter in which Shehadi allegedly was engaged in weeks leading up to the Bolles murder. According to Phoenix Police Department (PD) and Phoenix FBI records, a member of the Padilla family reported a vehicle stolen on May 18, 1976. Ostensibly inside the vehicle at the time was a bank book for a Valley National Bank (VNB) savings account belonging to a member of the Padilla family. A Phoenix FBI memorandum of June 25, 1976, and correspondence of July 9, 1976, charge that Shehadi then used the pass-book to present a forged withdrawal slip to VNB to remove $2,700 from the account, subsequently splitting the money with a member of the Padilla family. By then, of course, Shehadi was dead, and the feds left it up to local law enforcement to decide whether to pursue anyone else. The moral of the story is that at the very time of the Bolles homicide, Shehadi was getting quite creative —doing anything he could—in his desperation to support a few hundred dollars-a-day heroin habit. My hunch was that, if Shehadi had learned Funk’s name directly or indirectly from Adamson, he would have contacted the Funk family, perhaps by phone or perhaps even by knocking on their door, and tried to shake them down for “hush” money. Was it remotely possible that something like that actually could have happened? I simply was left to wonder for a number of intervening years with no way to check it out. Then, in September 1999, through a set of fortuitous circumstances, I finally was able to take a look at a copy of the YCSO records covering the Shehadi case. In way of routine detail, for example, they showed that the Arizona Department of Public Safety (DPS) played a major role in taking Shehadi’s fingerprints and arranging FBI identification. While the FBI’s formal rap sheet seemed to have been communicated on June 15, 1976, the basic identification actually was furnished via DPS by teletype to the YCSO a day earlier, on June 14, 1976. More amazingly, guess what else I found. Mountain Bell was the regional phone company back in 1976, later giving way to US West, then QWest, now Century Link. Mountain Bell’s principal Arizona offices were in Phoenix, and 242-6814 would have been a Phoenix phone number. But how would anyone outside of law enforcement have known so quickly after Shehadi’s identification that the YCSO was investigating the death of an Arab~American? This would have been more than two weeks before any significant press coverage. And would someone even have bothered to make such a call without reasonable suspicion that the “Arab” in question might be Shehadi? There are absolutely no indications in YCSO records of any efforts to pursue that lead or to attempt to firm up that tentative identification with a photo line-up. Instead, immediate steps were taken to put an end to that entire line of inquiry. This YCSO document, which confirmed the official severing of the Shehadi and Bolles cases, reportedly was written and initialed by YCSO investigator Ed Mart who necessarily must have been privy to the joint meeting as well. Shutt and Mart were the lead YCSO investigators in the Shehadi homicide. Kuebler in turn was the Yavapai County Assistant Attorney who had been assigned to the Shehadi case for prosecution, if it ever got that far. By June 15, 1976, the Phoenix PD’s homicide unit had abandoned Bolles’ own dying words and theory of the crime: Bolles had pointed at someone associated with Emprise (whose partners were the Funks) in favor of what I believe to be a misdirection to implicate Phoenix businessman Max Dunlap. A second murder in the same time period in which the Funks even emerged as an investigative lead certainly would have strengthened Bolles’ assertion and undoubtedly would have to be considered among so-called “Brady material”—exculpatory evidence—which would eventually have to be shared with the Dunlap defense. Conversely, the termination of any YCSO follow-up to the Funk lead in the Shehadi case, the establishment of a completely different line of YCSO investigation in the Shehadi case, and the complete suppression of any possible connection between the Bolles and Shehadi murders, would certainly make efforts by Phoenix PD to build a case against Dunlap in the Bolles bombing much tidier. What were the arguments put forth at the joint Phoenix PD/YCSO meeting on June 15, 1976, to sever the cases? During the fall of 1999 I gradually tracked down the several Yavapai County folks who reportedly either attended or were knowledgeable about that meeting. I located Mart in retirement in Sun City, Kuebler then working as a city magistrate in Prescott (I later learned with sadness this past fall that Kuebler was killed in a vehicle accident in July 2001), Shutt doing other law enforcement work in Las Vegas, and Kingsbury in retirement in the Prescott area. Of the four, only Kingsbury claimed to have even the vaguest recollection of the meeting in question, and he was unclear on most details. Mart, Kuebler, and Shutt all vehemently denied either attending or having any knowledge of such a joint Phoenix PD/YCSO meeting. All three categorically denied—until hearing it from me in 1999—ever having been made aware of any possible Funk-related leads or Bolles case-related rumors regarding the Shehadi murder. Mart even denied writing the YCSO report bearing his initials at the bottom which documented the severing of the two cases. All three persisted in their denials even after I mailed them copies of the critical pages of YCSO reports to refresh their memories. As a consequence, I very much doubt that the supposed joint meeting on June 15, 1976, really ever took place. I suspect that someone high up in the YCSO hierarchy dummied-up the meeting on paper as a favor to Phoenix PD, withholding in the process the Funk-related lead and the Bolles case-related rumors from those in Yavapai County responsible for the Shehadi investigation. To give Kingsbury the benefit of the doubt, there were other meetings going on between Phoenix PD and the YCSO in the 1970s, some, for instance, dealing with land fraud boss Ned Warren and his Great Southwest Land & Cattle. Perhaps Kingsbury just confused them. Bear in mind that it was also Phoenix PD which then helped to steer the YCSO along the alternative path of the Bobby Padilla investigative lead in Shehadi’s death as suggested in the Arizona Republic article of July 1, 1976. In fairness to Phoenix PD, Shutt recalled in 1999 that traces of blood purportedly had been found in a Padilla family vehicle but that the blood could not be linked with any certainty to Shehadi. For that reason alone with the absence of a murder weapon, Shutt added, no charges ever resulted. In the fall of 1999, I also managed to track down and to interview a fellow named Jim Rein who had been an engineer with Mountain Bell in Phoenix back in June 1976. He was living in retirement in suburban Cave Creek. I was eager to learn whether he was the same “Mr. Rein,” seemingly associated with Mountain Bell, who had phoned the YCSO on June 15, 1976, to report the mysterious “Arab” at Funk offices in Phoenix. I already had determined that 242-6814, the phone number offered by “Mr. Rein” in 1976, had been an unpublished number back at that time. Jim Rein told me that he was quite certain he was the only person named Rein then working for Mountain Bell in Phoenix. He was astonished, however, when I described the phone call to the YCSO in Prescott regarding the “Arab” at Funk offices, insisting that he knew absolutely nothing about it and had not made such a call. Rein said that he has clear recollection of the Bolles investigation, which he followed with interest, but has no knowledge whatsoever of the Shehadi case. 242-6814, moreover, was never a phone number with which he personally had any connection in Phoenix. He speculated that perhaps someone in law enforcement had used his name and apparent employment as cover for information actually obtained by a telephone wiretap, a number of such “covert wiretaps” undoubtedly having been operative in the Phoenix area at that time. It was a suggestion that I later heard from others in law enforcement as well, pointing at both DPS and the FBI. In Phoenix, the ex-agent noted, Emprise operated through the offices of its local partners, Funks Greyhound Racing Circuit, making it entirely possible that the FBI would have succeeded in planting or cultivating a confidential informant at that office location. If an FBI informant at the Funk offices had witnessed an altercation there of some sort involving an Arab-American thought to be Shehadi, he presumably would have reported it to his bureau contact. Feeling an obligation to put the information to work without blowing his informant’s cover, that agent then might have phoned the YCSO posing as a “Mr. Rein” calling from 242-6814 in Phoenix. 242-6814, in fact, could have been one of numerous phones with unpublished numbers then available for undercover use at Phoenix FBI offices. Unfortunately, with the passage of time and the changes in phone company ownership, we’ll probably never know. A spokesman for the Qwest [now Century Link] legal department in Denver recently has advised me that, even with a subpoena, phone records from that long ago simply no longer exist. So, what the hell did happen to Hesham Shehadi back in 1976? And what other information pertinent to the Bolles case did the feds also keep buried at that time in order to protect the existence of “covert wiretaps” and/or “confidential informants,” whether in Emprise/Funk circles or elsewhere? Previous post ← Why Am I Doing This?